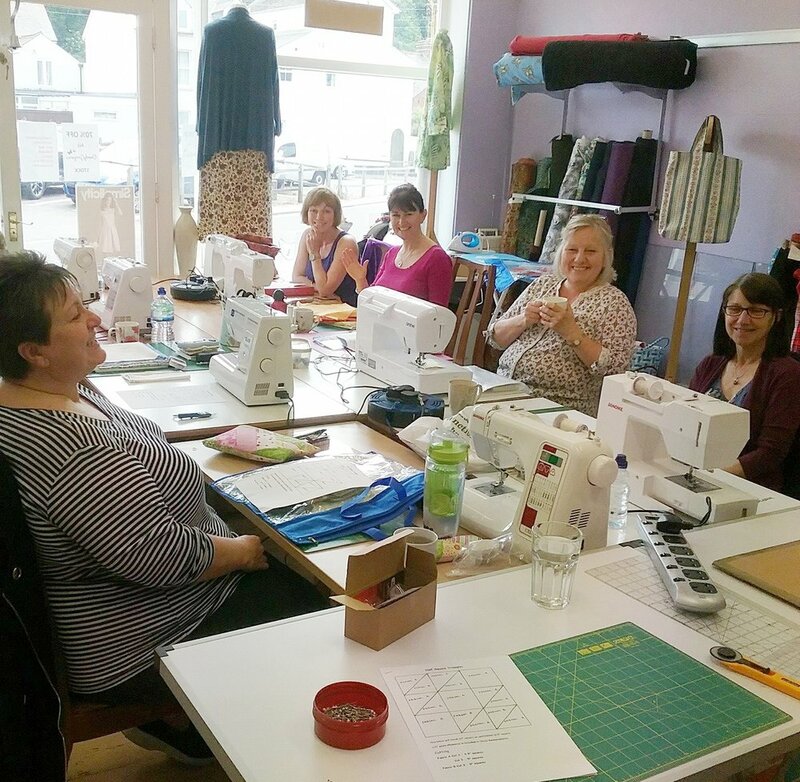 At Sidmouth Fabrics we love putting on workshops and classes to help people learn new skills. It doesn't matter if you're new to sewing or a dab hand, we're sure we have something that will take your fancy. 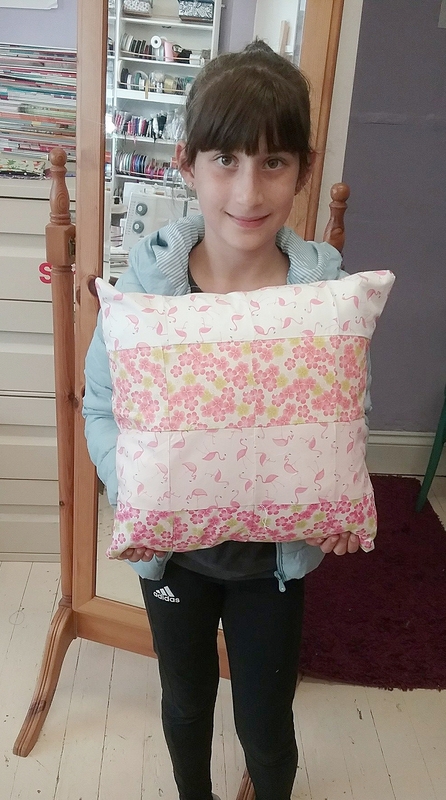 Our workshops range from childrens classes running on weekends and holidays to adult courses such as Introduction to Patchwork or Create a Block for a Sampler Quilt. 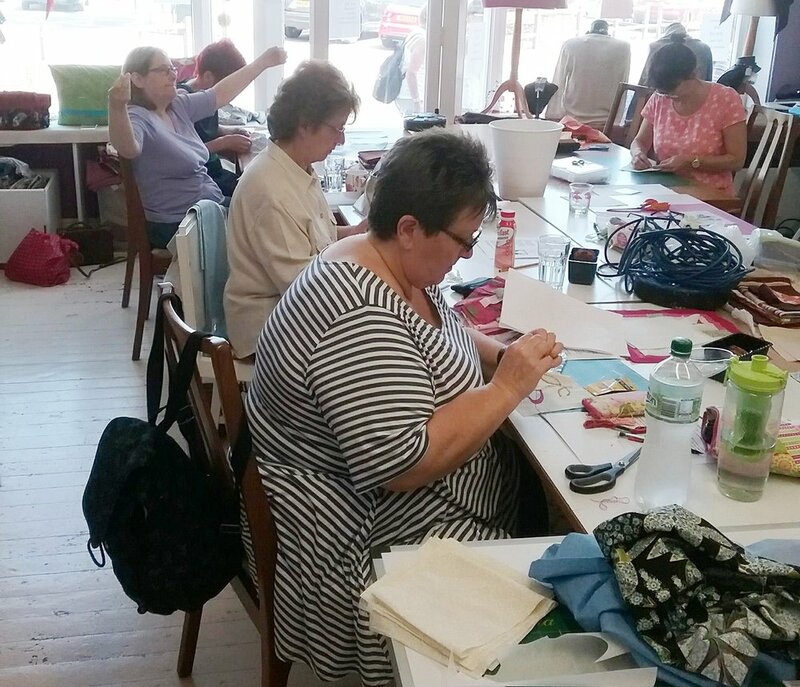 All our workshops and classes are fun and relaxed and are open to all levels. Print onto fabric, add angelina fibres and free motion stitching to create an iridescent starry panel. Use watersoluble fabric, fibres, yarns and free motion stitching to create a unique bowl in the shape of a ring of trees. Create your own design and hand print on fabric with printmaker, Alison Savic. 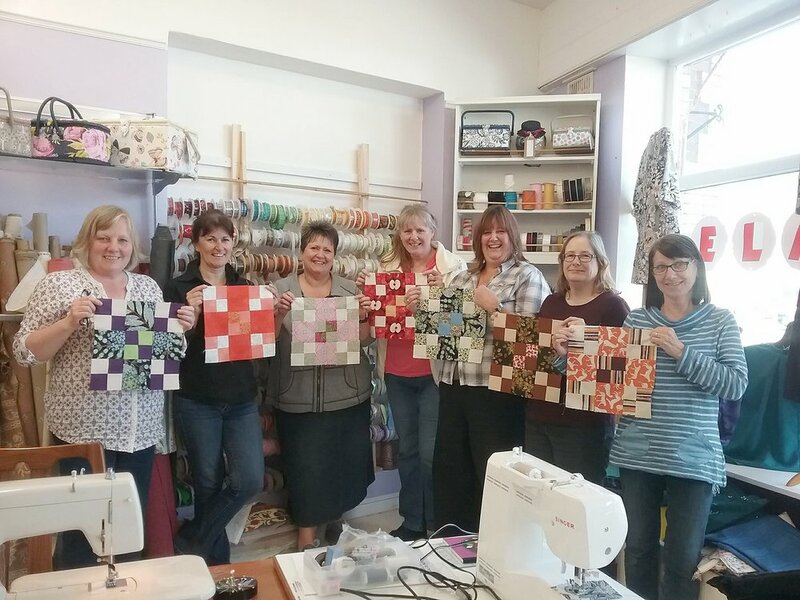 This Disappearing nine patch block is a fantastic beginners course run by Kazi. Throughout the 2 days you will learn how to cut out the blocks and assemble them. After the 2 days you will go home with a lap quilt. Please choose one pattern from the below equipment lists. Another great workshop on learning a new method for patchwork . You will make one block in the day learning how to foundation a piece. A day to create textures on fabric using shrink polyester. Three techniques will be included in this day – Chenilling, using angelina fibres and working with pictorial/boldly patterned fabrics. A day to gain confidence with free motion stitching. 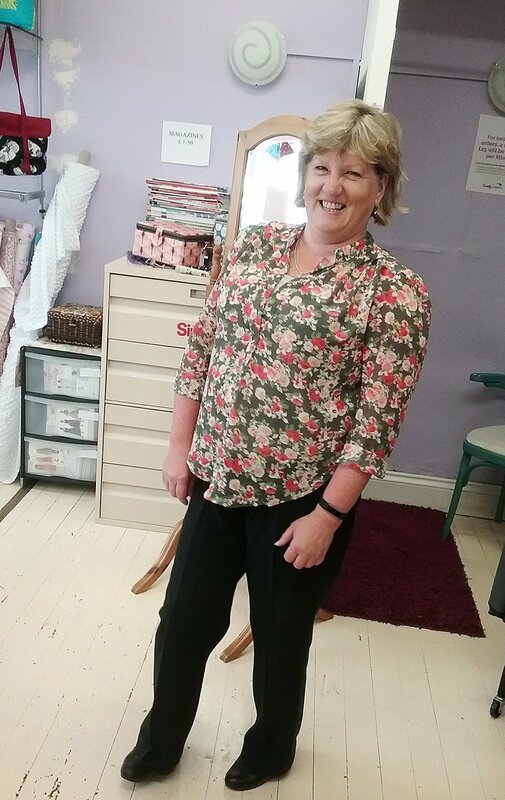 Learn how to set up your sewing machine, which fabrics to use, the importance of stabilisers, choosing threads and selecting the correct needle. As the light of the sun fades, the silhouettes of different birds appear against the twilight landscapes. All the dark motifs are fused onto backgrounds pieced from strips of fabric. These backgrounds can be quite detailed if you wish – for instance, behind the swallows and the nightingales I used eighteen Jelly Roll (2½in) strips graded from dark to light. In contrast, the backgrounds for the geese and heron just use three or four larger pieces. You may even have a single shaded piece of fabric that would work beautifully – in which case you don’t even have to piece the background. When I do this workshop I often have a few random-striped batiks with me, cut to the size of the background, which you’re welcome to buy either for use on the day or if you want to do more designs in the future. The projects are wonderfully versatile; if you don’t want such a large wallhanging, simply reduce the length of the pieced background, then use fewer bird and branch motifs, and shorter plants. You can copy one of the five designs I’ve created, or design your own version by mixing and matching the birds and plants. You can choose to quilt the final design very simply, or as intricately as you like; during the workshop we’ll explore lots of different methods of simple machine-quilting. These designs work best in cotton fabrics for the pieced backgrounds; for the silhouettes, choose a tightly-woven cotton, or polyester/cotton sheeting, then the edges of the motifs will stay really crisp as you cut them. If you cut your fabrics to size before the day of the workshop it means you’ll be ready to get straight on with the creative bit (remember to alter the dimensions if you’re making your background a different shape or size from mine). A day to experiment with shrink polyester. A variety of small samples will be stitched so you can explore the creative potential of this product.. This workshop you will learn how to applique a small amount of patchwork and assemble. You will go home with a lovely wall hanging just in time for Christmas. Learn how to make a bag. Choosing the correct interlining, making handles, and how to create your own patterns in the future. If you have attended a shrink polyester day, you may wish to create your own unique fabric for your bag. Hello crafty sewers ! Have a look at some of our wonderful workshops. I hope to see you at one or two !